Now the collection is available to researchers in the Library’s Manuscript Division - in time to mark O’Keeffe’s important role in art history during Women’s History Month - after the letters were acquired through a purchase and gift agreement in late 2018. Paintings of landscapes, bones and flowers would become some of O’Keeffe’s best-known works in a career that would change the world of abstract art. At the same time, she became an icon and a trailblazer for women in art. The collection covers the last phase of Stieglitz’s life - a time when O’Keeffe was starting to forge her independence. They were often living apart. 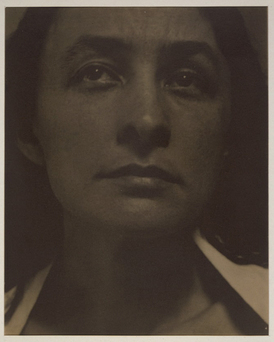 Image: Georgia O'Keeffe as photographed by Alfred Stieglitz in 1919. Credit: Library of Congress, Prints & Photographs Division, The Alfred Stieglitz Collection, Purchase and Gift of The Georgia O'Keeffe Foundation Purchase, [LC-USZC4-6228].